In my quest for a non-fiction picture book about planets for the preschool-aged, (with easy to follow text and attractive pictures being the two criteria for selection), I stumbled upon Planets by Ellen Hasbrouck and Scott McDougall. I purchased the hardcover book purely to inspire my older one who around her third birthday was obsessed with identifying planets, and wouldn't simply stop talking about the solar system. Now with my little one who is turning four soon, the obsession for celestial objects has been repeating itself or should I say, we're back on the same orbit yet again. 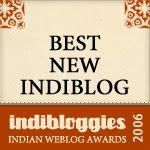 This review is certainly one that's been long overdue. giving us the energy of heat and light." The next page, the size of which is slightly larger than the previous, describes Mercury through another short poem. The following page, larger than the previous show Mercury and Venus, and the lines for Venus ending with repeating lines of Mercury. The next page grows in size and the pattern repeats itself so on and so forth, until the very last page, the size being the largest showing all nine planets and the lines for Pluto and Neptune. The unique way in which the pages were cut and layered was indeed a neat surprise element in design. The vivid illustrations of the planets and the uncluttered black background render a space-like feel throughout the book. 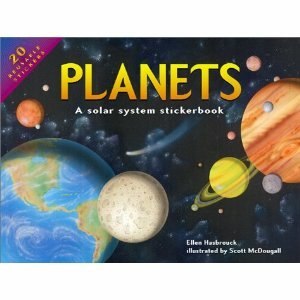 Overall, a thoughtfully written, unique book in nonfiction for teaching the basics of our solar system to preschoolers and early elementary graders. No doubt, this book has helped me introduce some basic, interesting facts about the nine planets to my children in a fun way. Both have enjoyed gazing at the pictures and listening to the poems. While the experience is certainly not close to experiencing the actual night sky in all its glory, I must comfortably say the book can provide an excellent preview to the little astronomers in the making. Note: Ours was a regular hardcover copy and not a sticker book. Not a kids book but that is no deterrent - even the 4 year old loves to do pic-gazing in it. Sounds like an amazing book. Will chk out our library. Sheela, we love There's No Place Like Space. I loved the mnemonic they had to remember the planets in order. All the searches only throw up the 'stickerbook' :-( Looks like I'll have to look harder.